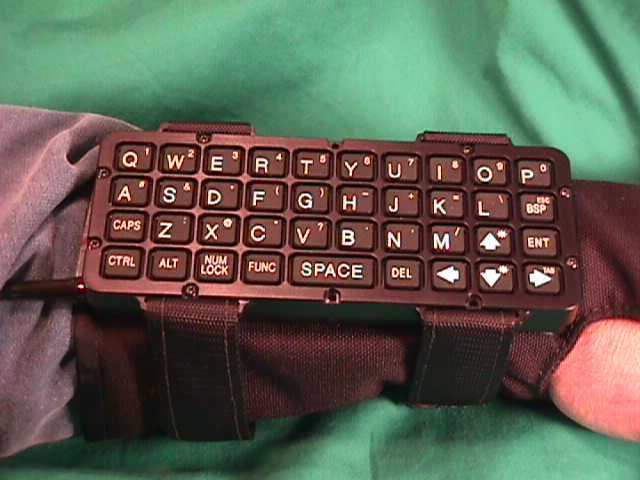 L3 Systems has developed the WristPC Keyboard for portable and wearable computer applications. The WristPC is a rugged QWERTY keyboard with a standard PC keyboard interface. The housing is either black anodized aluminum ABS plastic. 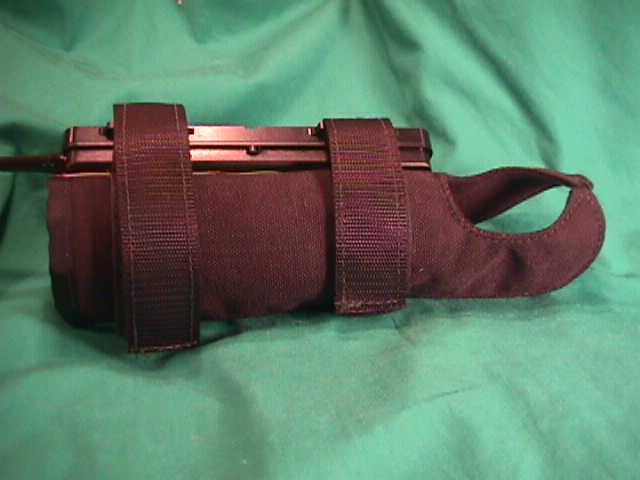 Completely sealed, it can operate in the rain and other harsh environments. A curved back provides a secure and comfortable placement on the wrist. The keyboard layout is optimized to provide alphanumeric entry. Carefully positioned arrow keys ease menu-oriented tasks. Note: Aaton Cantar Users - We can provide keyboards especially set up for use with Aaton Cantar users in conjunction with the Gotham Sound Dsub15-USB adapter, (Note: We don't sell the Gotham adapter.) You can just order USB keyboard you want, and either add a note when purchasing, or send a note to: sales@l3sys.com. To get a WristPC data sheet press: Get WristPC Data Sheet. To get instructions on installing the WristPC wrist strap press: Get WristPC Strap Installation Instructions. You will need an Adobe Acrobat reader to view or print the data sheet or instructions above. To download Adobe Acrobat press: Get Adobe Acrobat Reader.